President Enrique Pena Nieto has encouraged Mexicans to walk more, use stairs and exercise one hour every day as he launched a campaign against rampant obesity and diabetes. “We can’t keep our arms crossed in front of a real overweight and obesity epidemic. 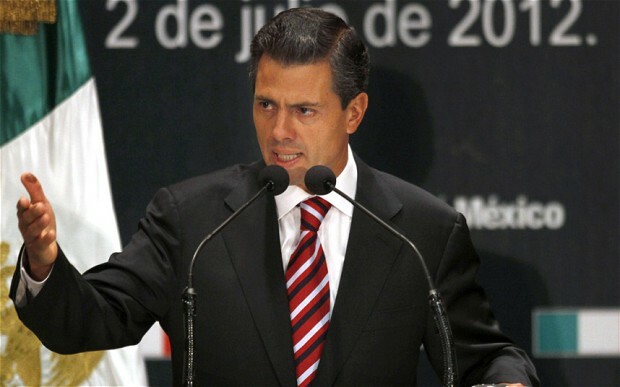 The lives of millions of Mexicans are literally at risk,” Mr Pena Nieto said. Seven in 10 adults are either overweight or obese in Mexico, while one-third of the country’s children fall in that category, according to official figures. Mexico now has a higher rate of overweight people than the United States, and it also has the highest prevalence of diabetes among the 34-nation Organisation of Economic Co-operation and Development. Presenting his national strategy to prevent obesity and diabetes, Mr Pena Nieto said the health ministry will open an “observatory” to monitor and respond to the problem.